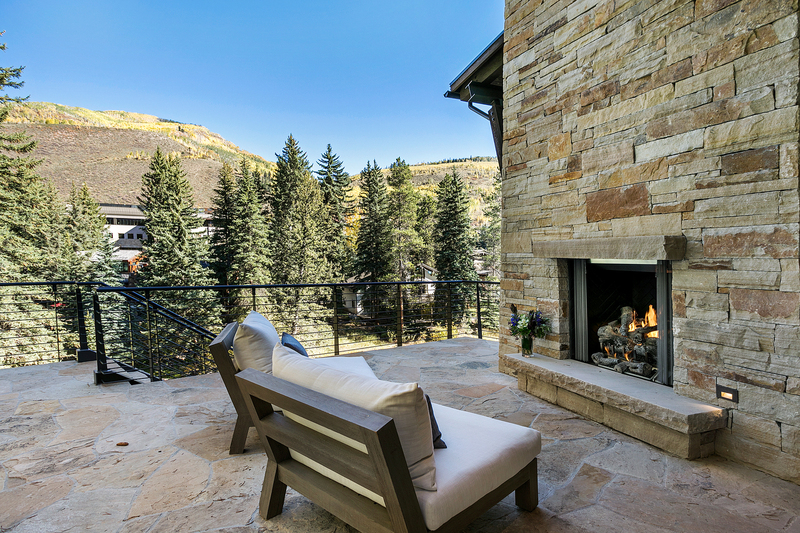 Outside your front door, a short stroll reveals world-class amenities, shopping, dining and entertainment, as well as near-immediate access to the ski lifts at the base of Vail Mountain. 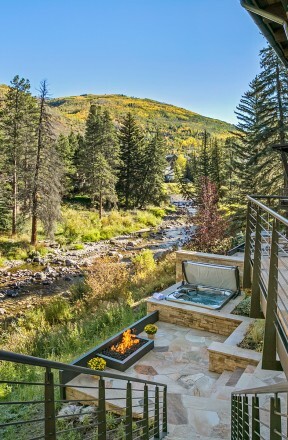 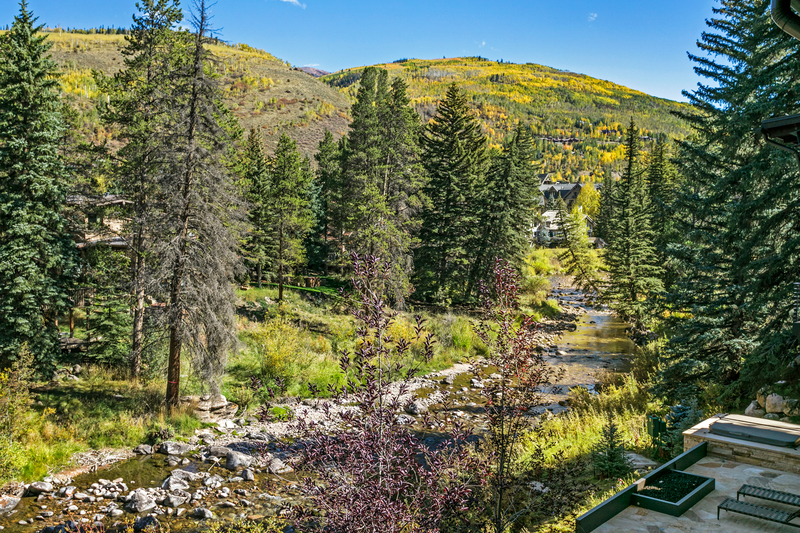 Outside your back door, discover private access to the sparkling Gore Creek, an expansive outdoor living space and the natural surroundings of a scenic Colorado escape. 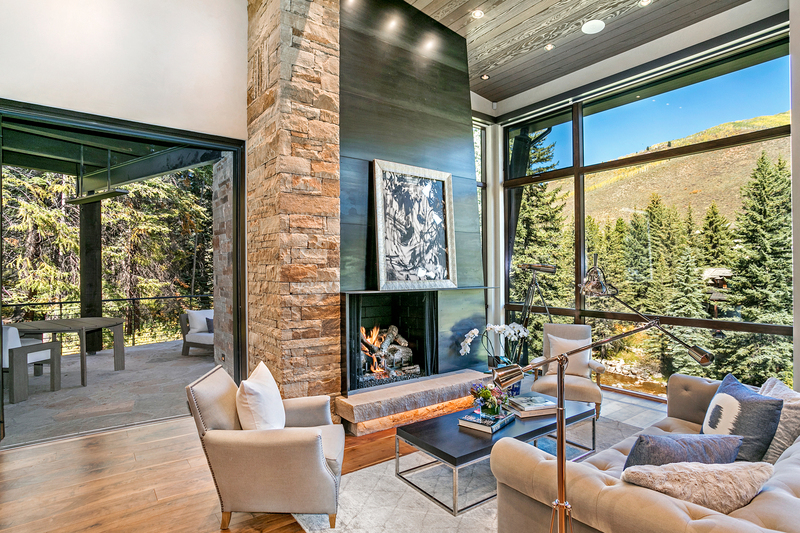 In between, live amongst flawless new construction and impeccable design — a modern masterpiece with rustic mountain overtones and an intricate attention to detail. 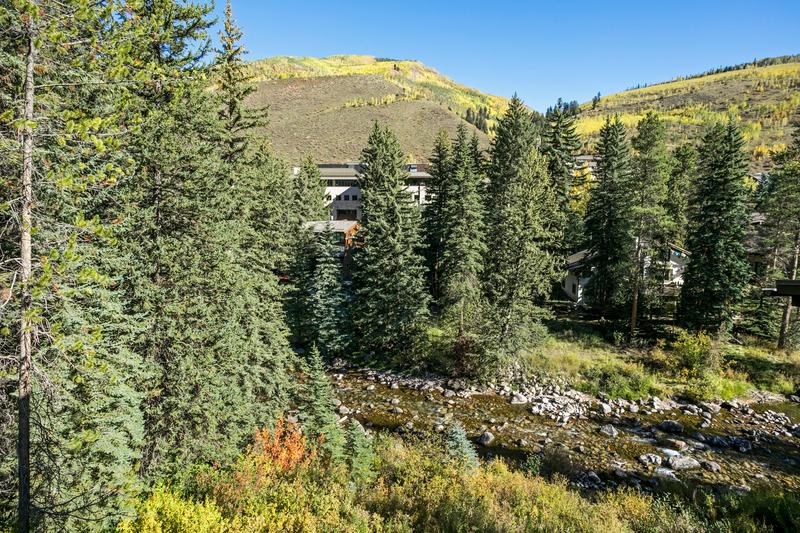 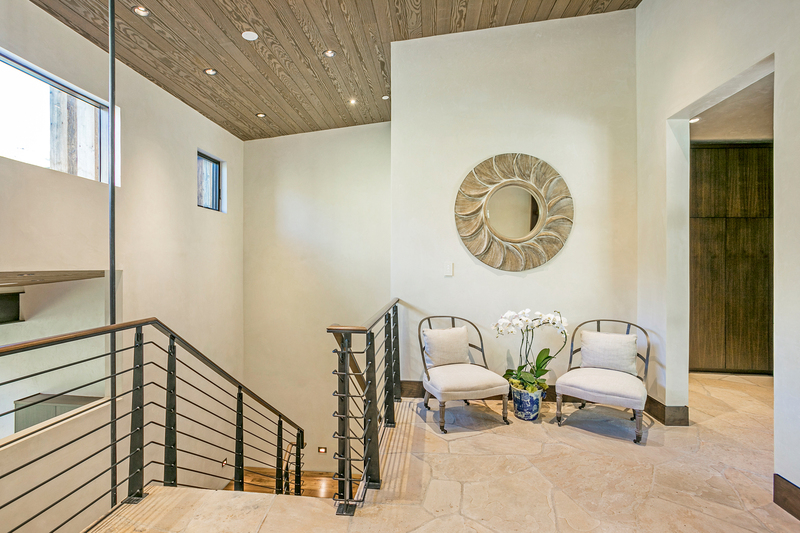 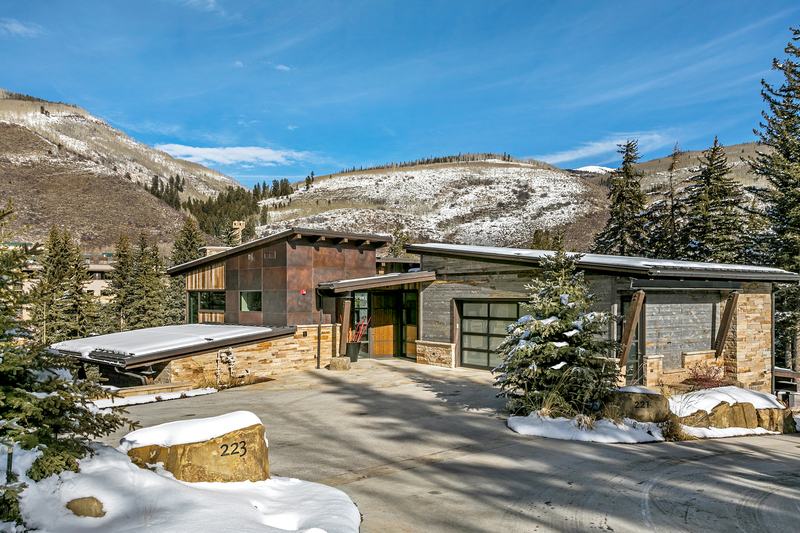 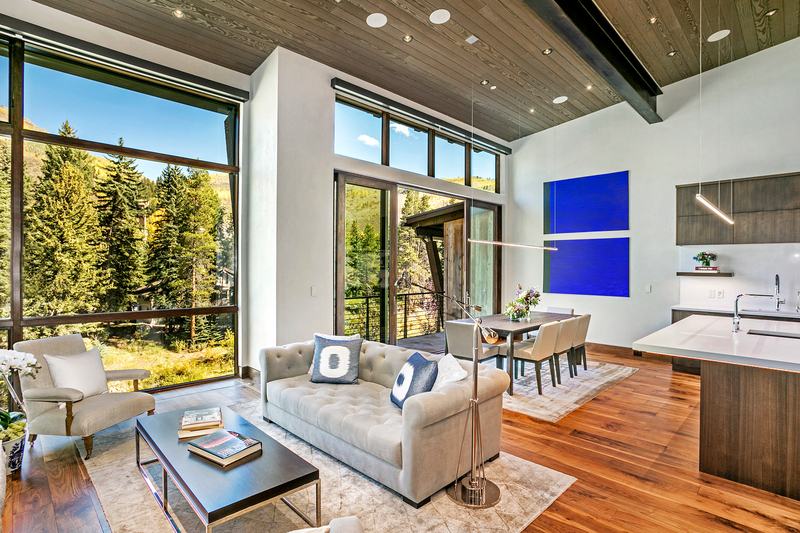 223 Beaver Dam Road is perfectly situated in one of the valley’s most exclusive neighborhoods, minutes from Vail Village on a quiet residential road, surrounded by alpine splendor and natural beauty. 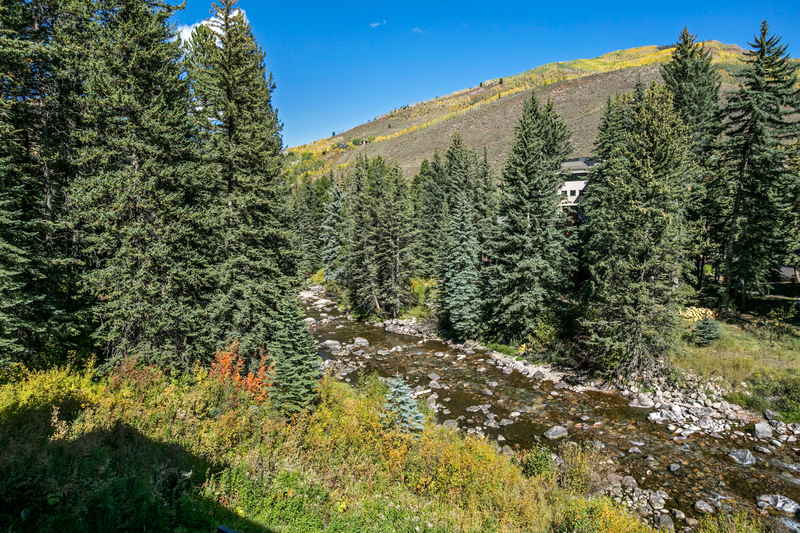 A four-season mountain paradise, the property directly overlooks the picturesque Gore Creek, which provides a spectacle of animation in the summer and unflustered tranquility in the winter. 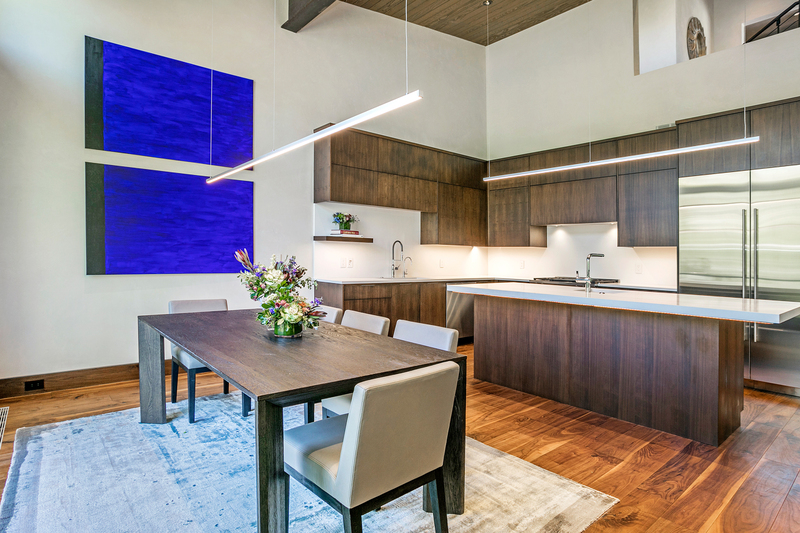 This stylish four-bedroom, 3,956 square-foot half duplex is newly built with every contemporary luxury in mind. 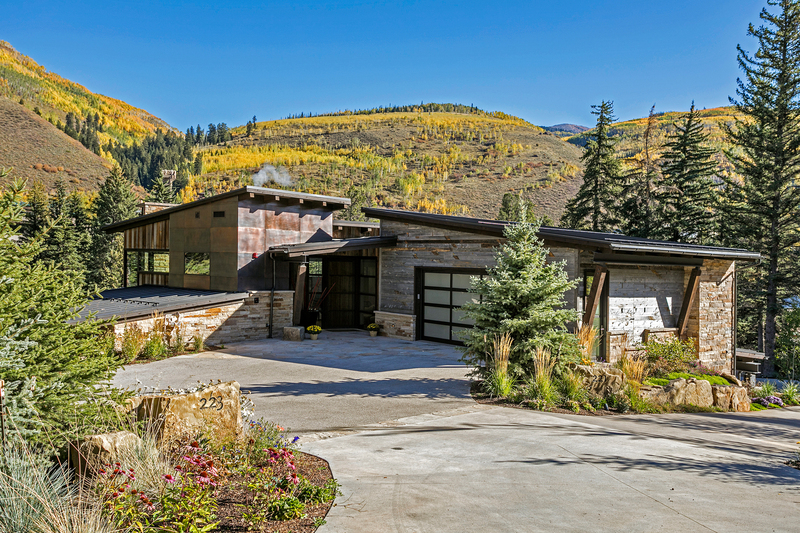 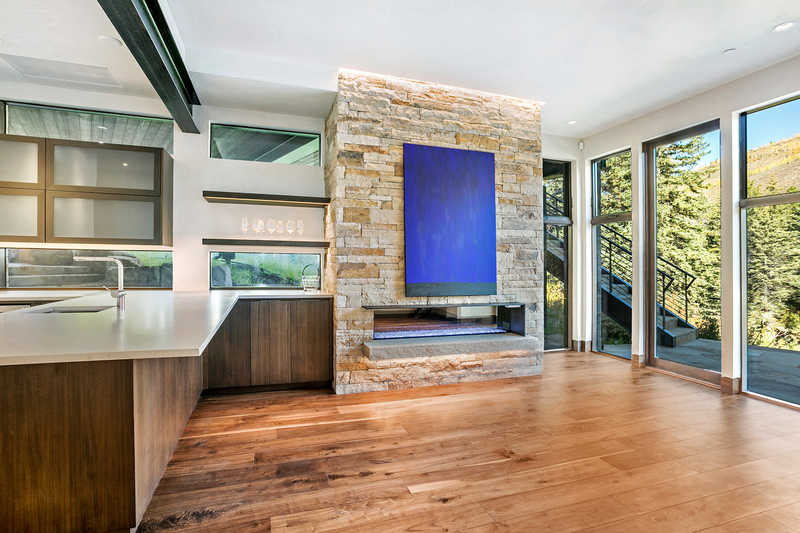 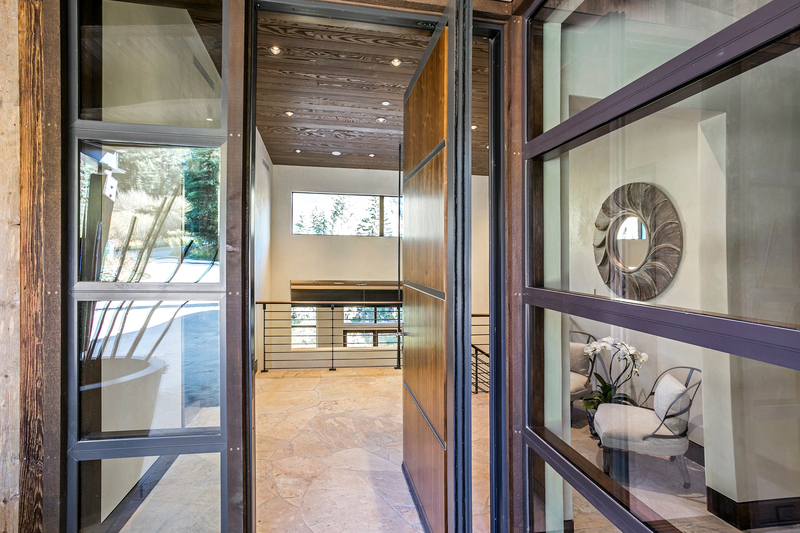 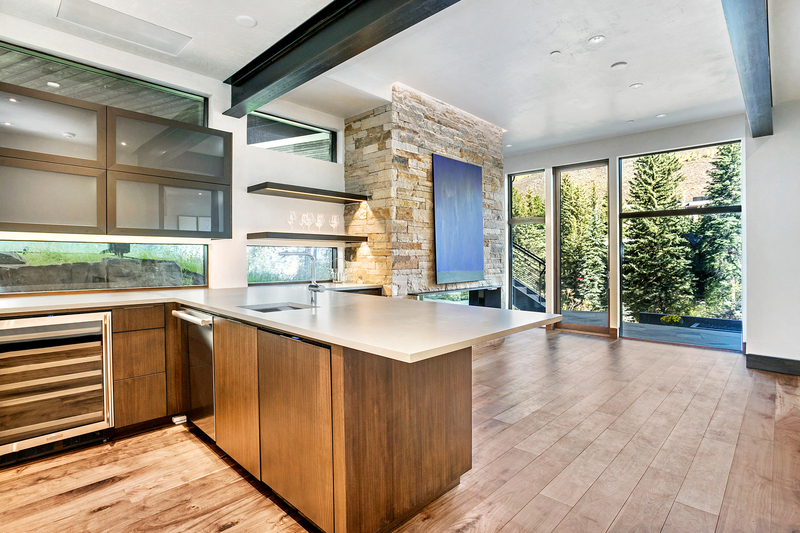 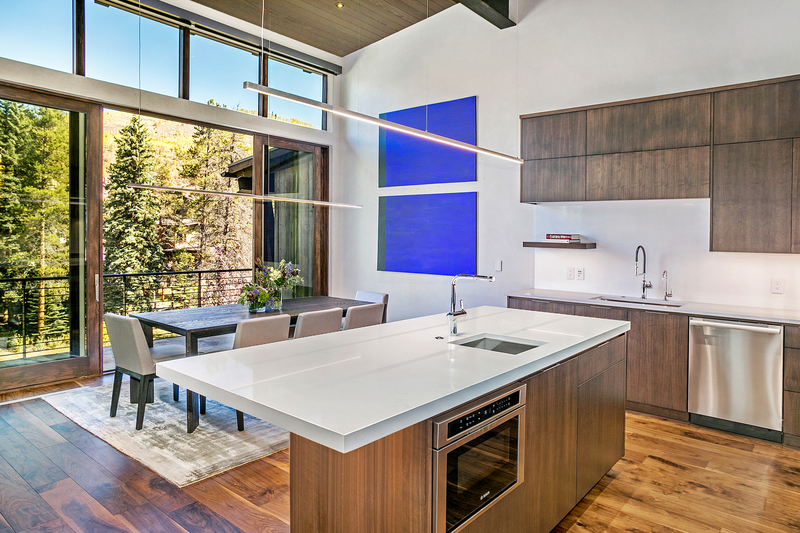 The modern design brings a fresh approach to mountain living from moment you pass through the pivoting front door over seamless flagstone that blends the indoor and outdoor environments. 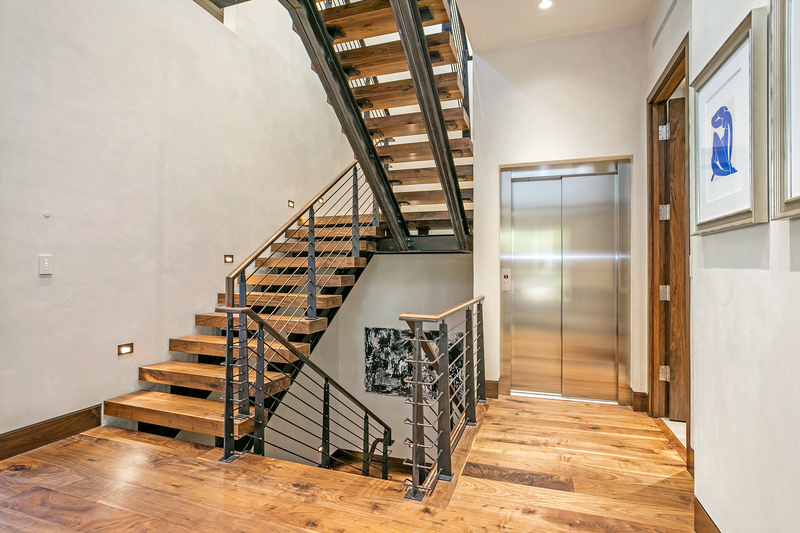 On the top level, guests are immediately greeted with the option of a dual-entry elevator, which accesses all three levels of the home. 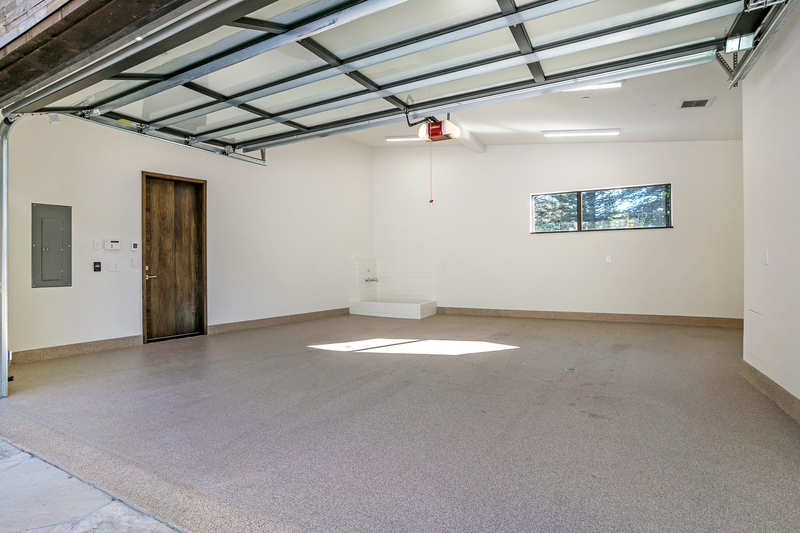 Adjacent to the heated driveway at the front entrance is an aluminum-glass garage door that is both dapper and functional, invigorating this often-dim part of the house with natural light and a rare, yet practical pet-washing station. 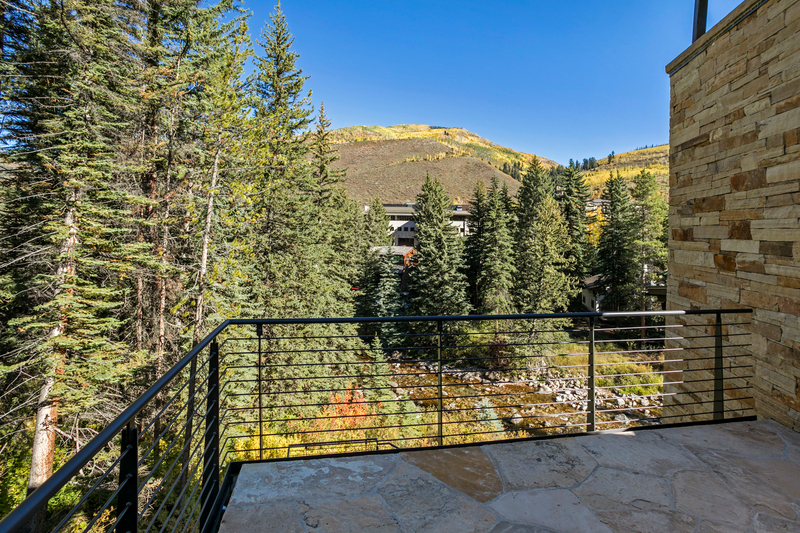 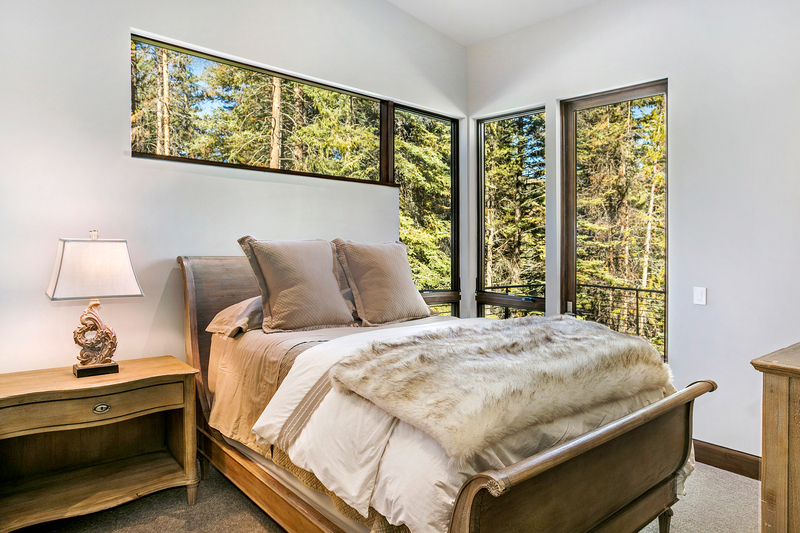 The first of three guests suites is situated on the top level and enjoys a large, private balcony with inspiring views of Gore Creek and surrounding aspen-covered mountains. 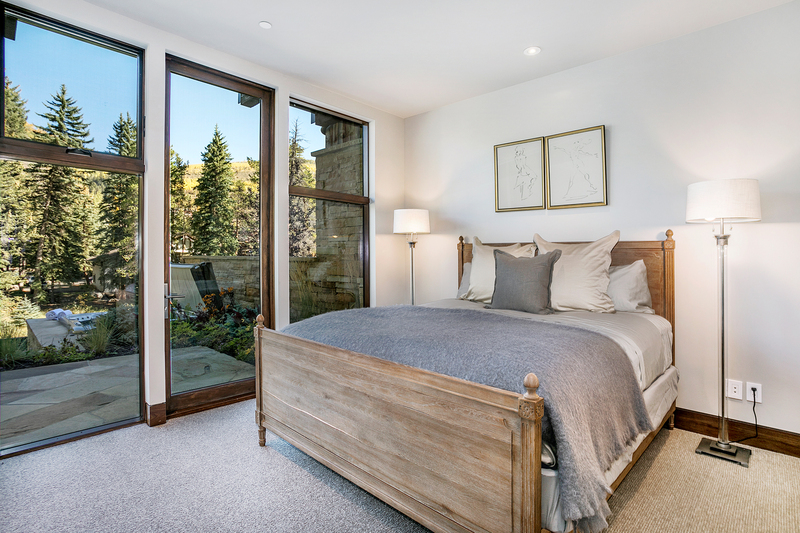 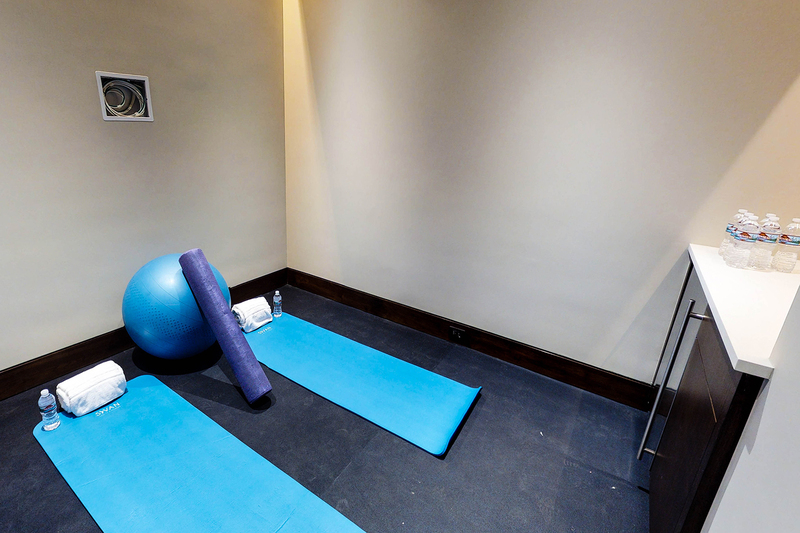 All four bedrooms feature walk-in closets and en-suite bathrooms. 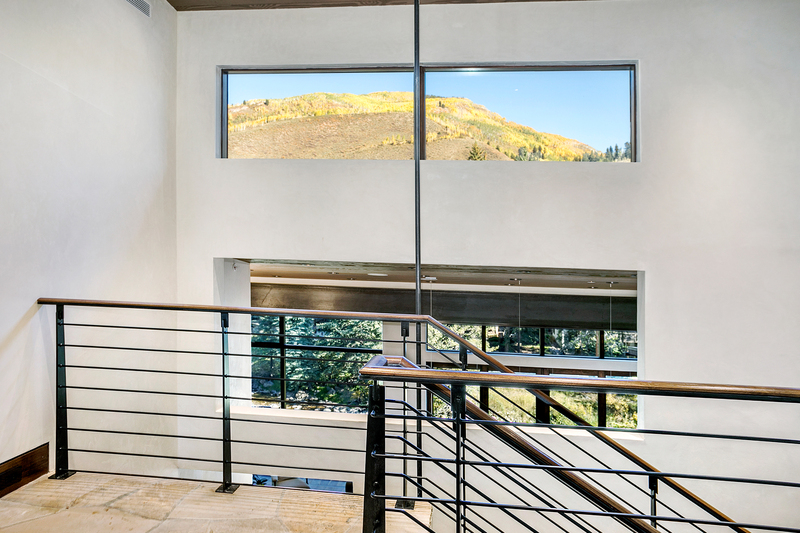 A floating, open-tread walnut staircase entices visitors down into the main living area, which is similarly perched above Gore Creek and visually invites outdoor surroundings into the home through expansive floor-to-ceiling windows. 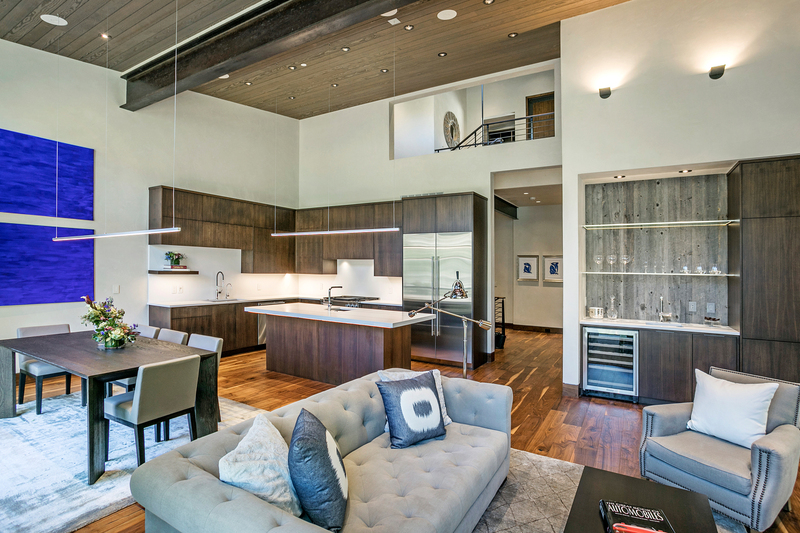 An open floor plan merges the kitchen with the great room, encouraging interaction and a family atmosphere. 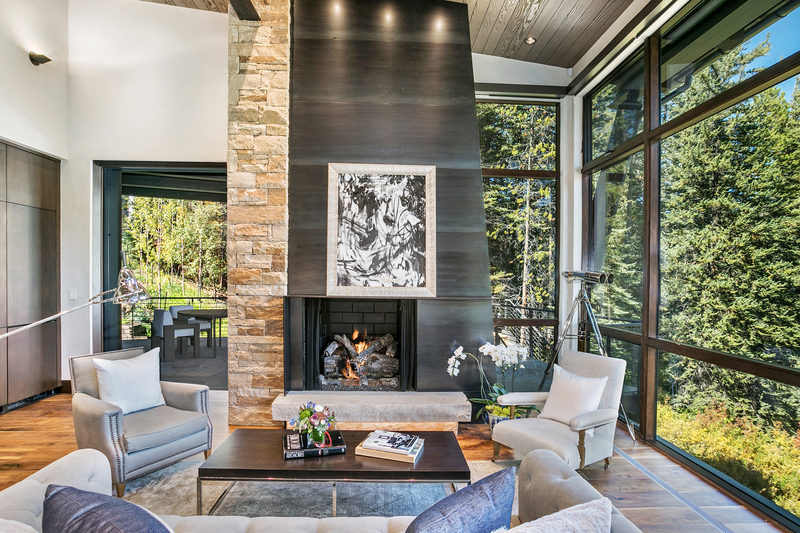 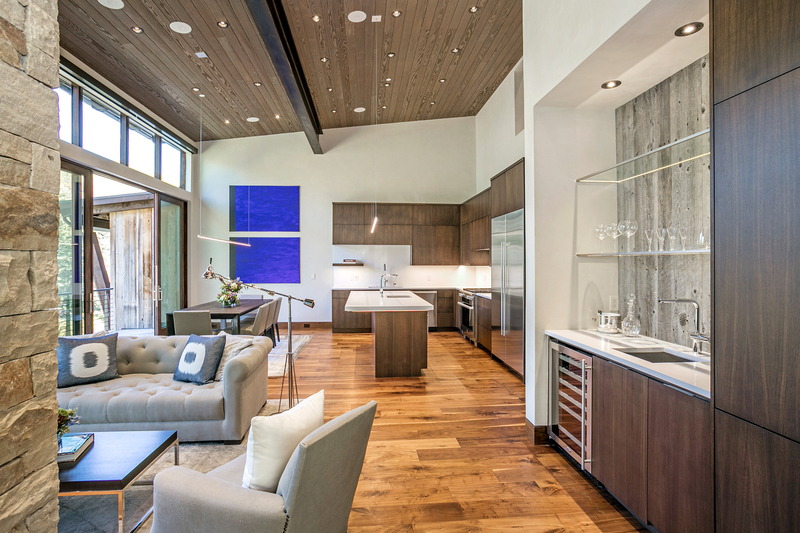 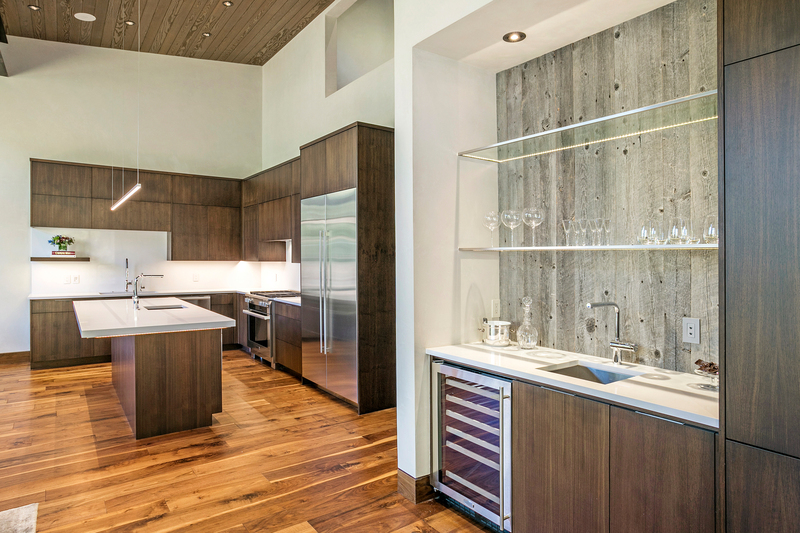 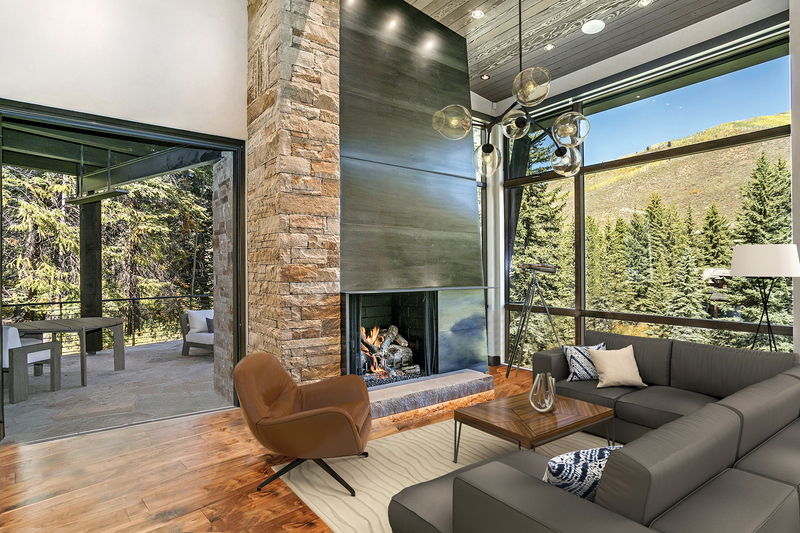 The hand-stacked sandstone fireplace serves as the room’s centerpiece, a modern take on a mountain classic, while, underfoot, the wide-plank walnut flooring provides a durable yet elegant surface. 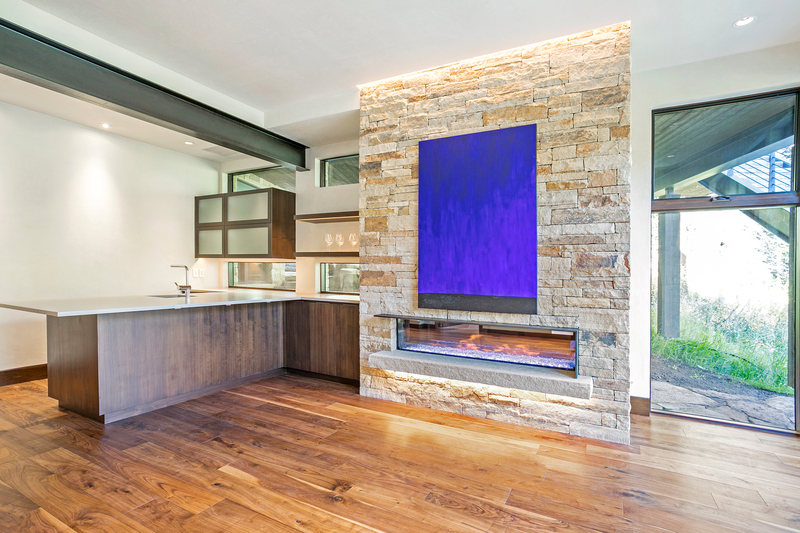 Creative custom lighting is a distinctive element throughout the home. 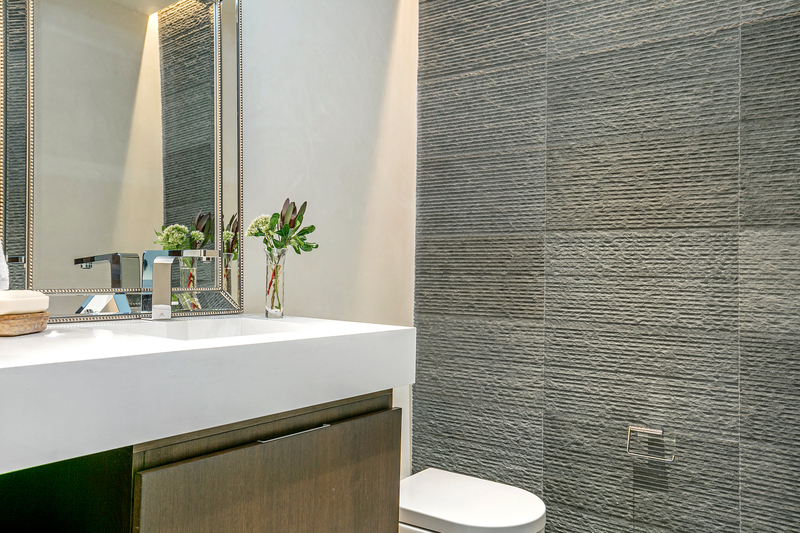 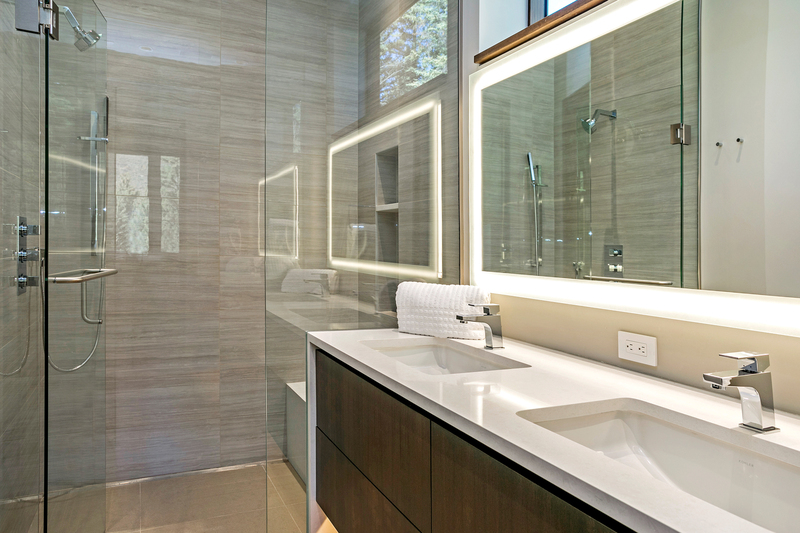 From the great room and kitchen, to the bedrooms and bathrooms, backlit lighting is concealed within slender nooks and crannies to provide bright, nonabrasive lighting solutions that are soothing and distinctive. 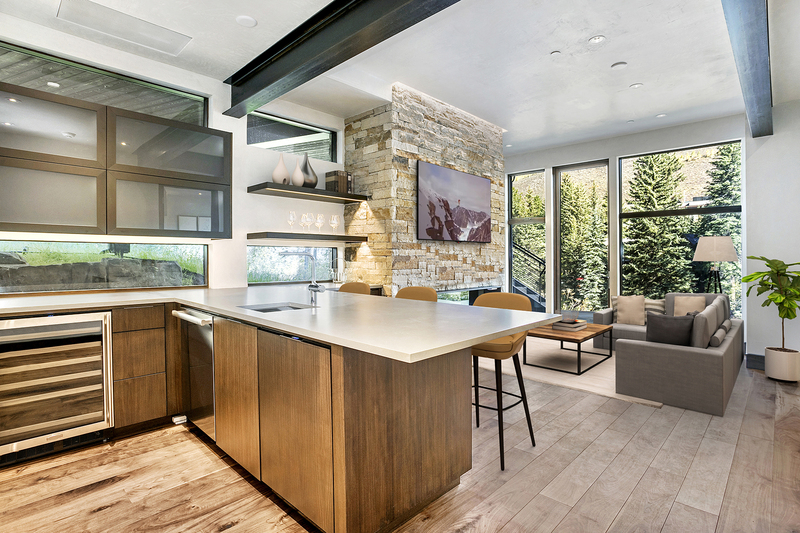 The kitchen features Miele appliances and stark-white, easy to care for Caesarstone countertops that pair beautifully with snowy surroundings in wintertime. 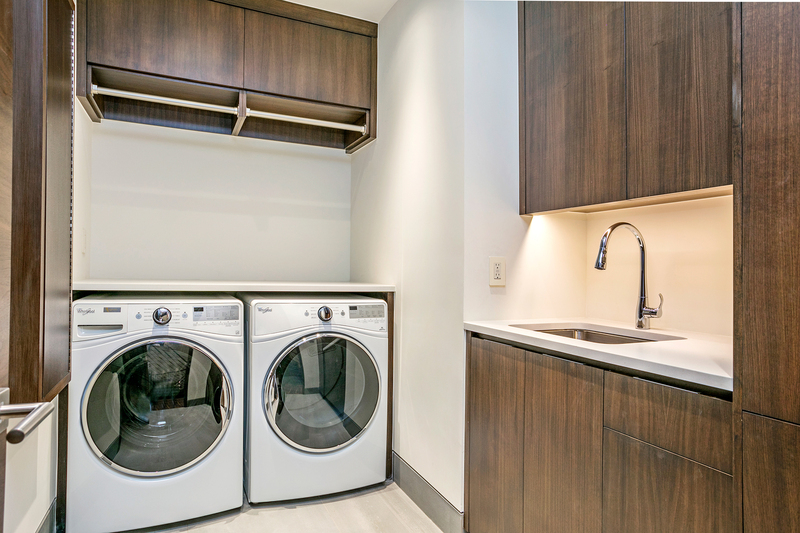 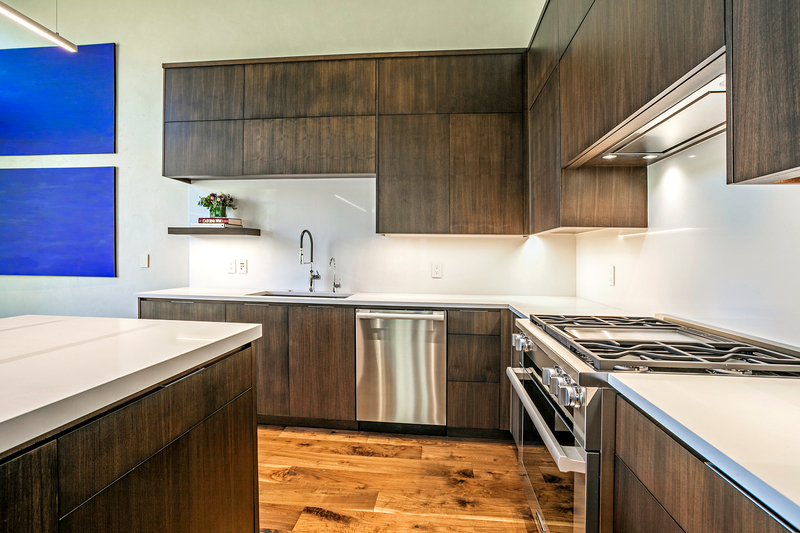 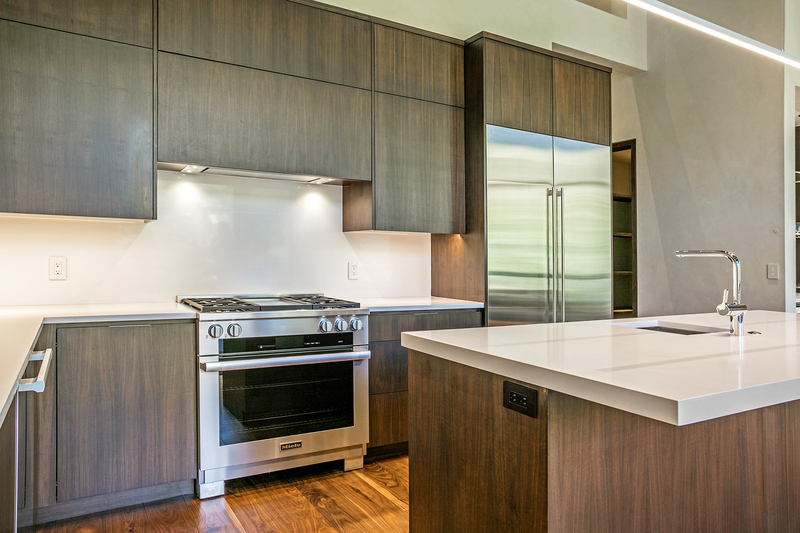 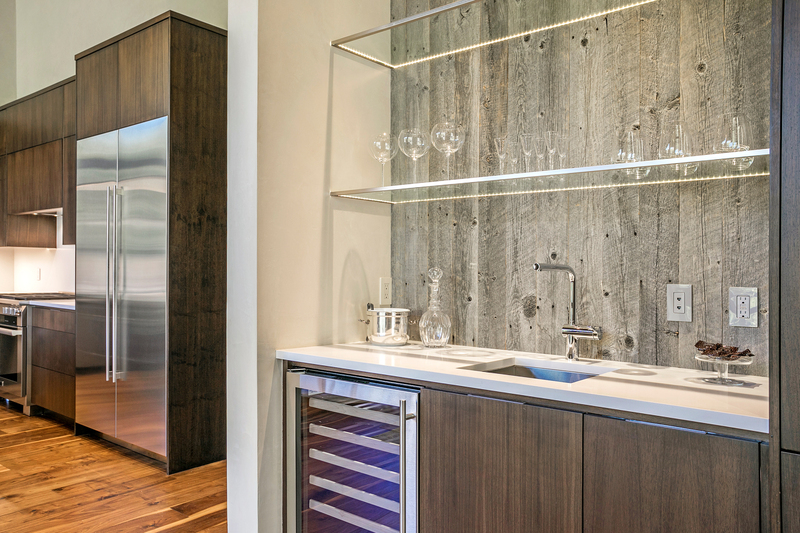 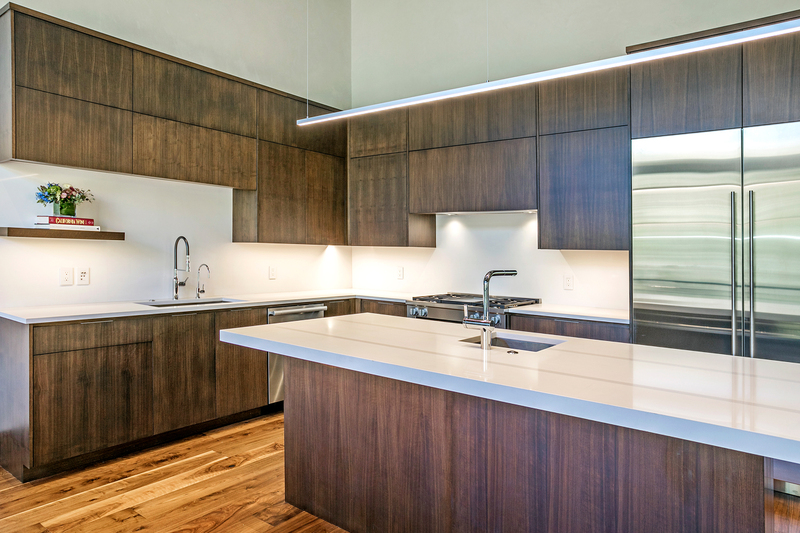 Rift-cut walnut cabinetry features an effortless push-pull opening system and contributes to the modern aesthetic of the room. 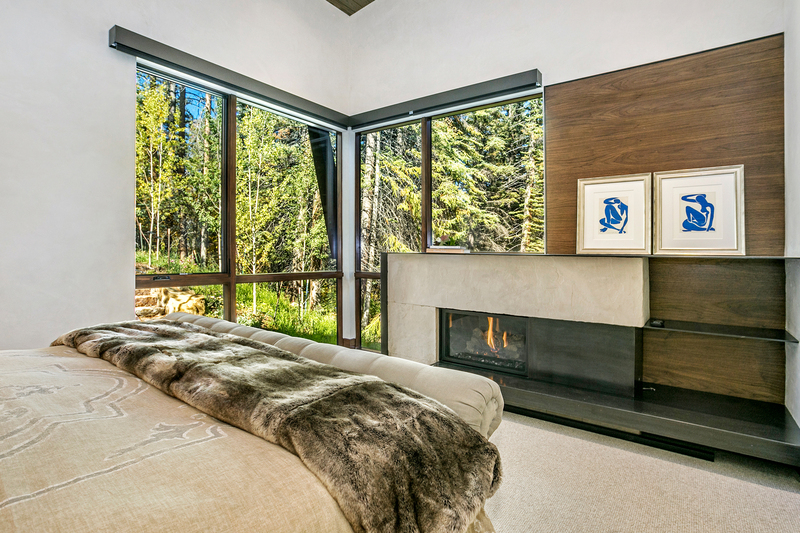 Immediately off the main living area, the master bedroom commands a private fireplace, lofty ceilings and views of the surrounding wooded environment through a pair of cornered windows. 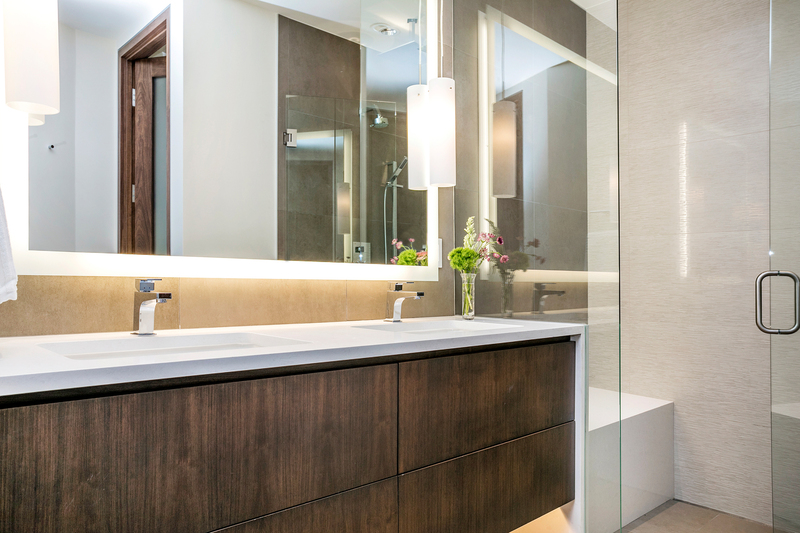 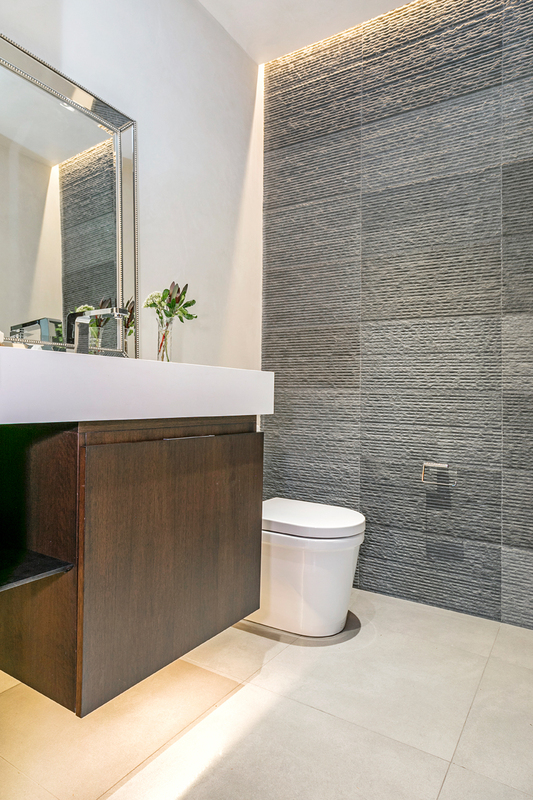 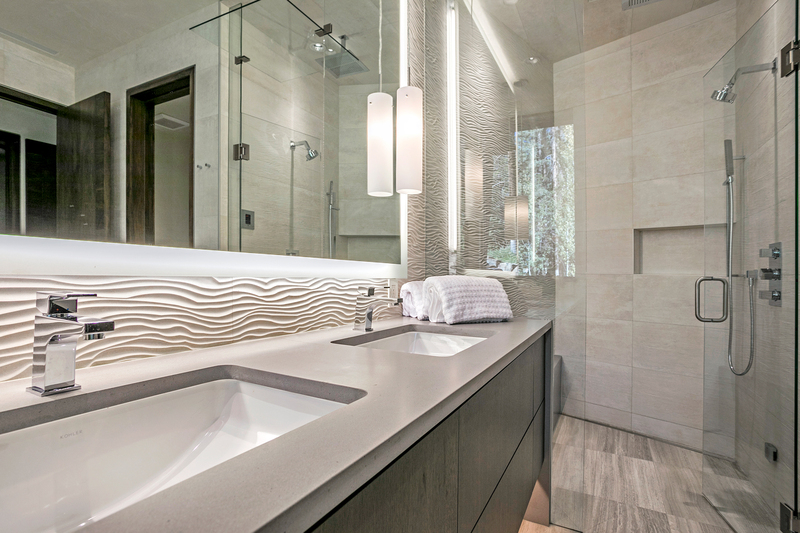 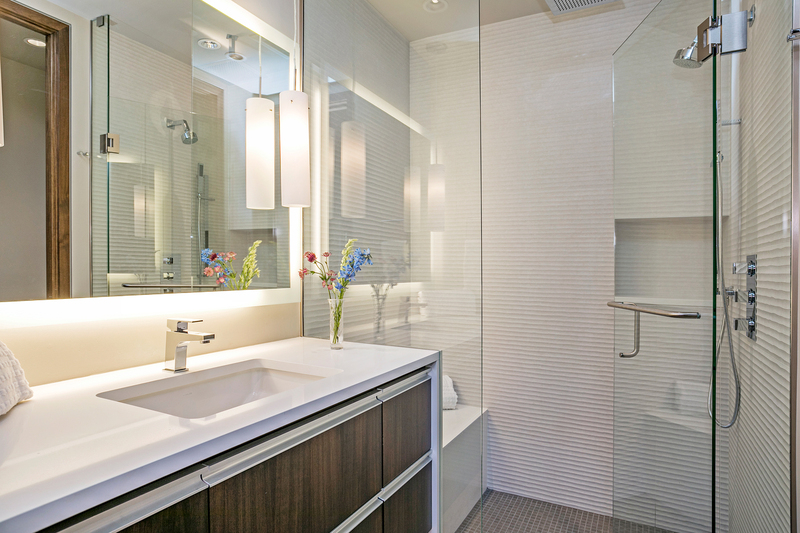 The sleek master bathroom features backlit lighting, a standalone tub and modern steam shower with seamless entrance and slope-down drainage. 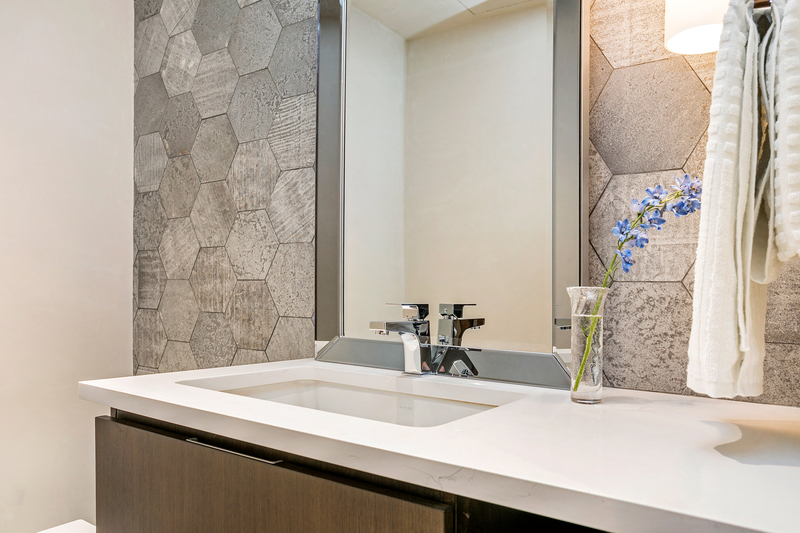 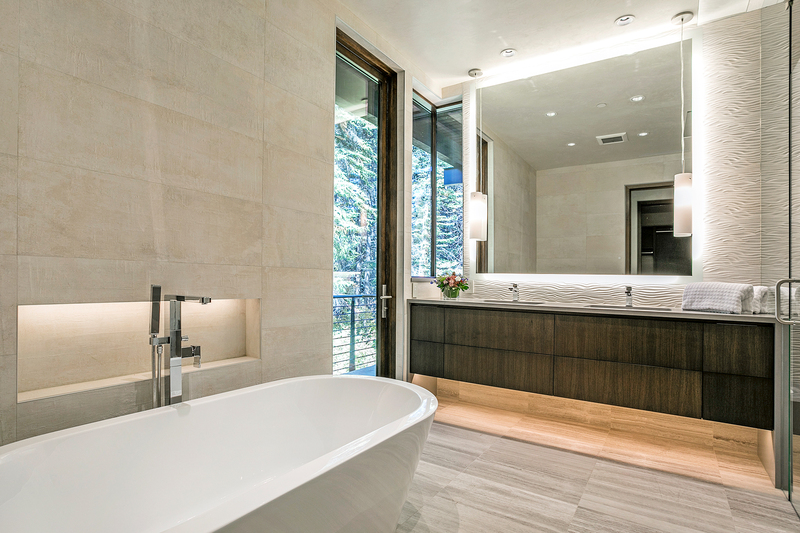 Silverwood travertine tile and Porcelanosa faucets and fixtures accent bathrooms throughout the home, including the master. 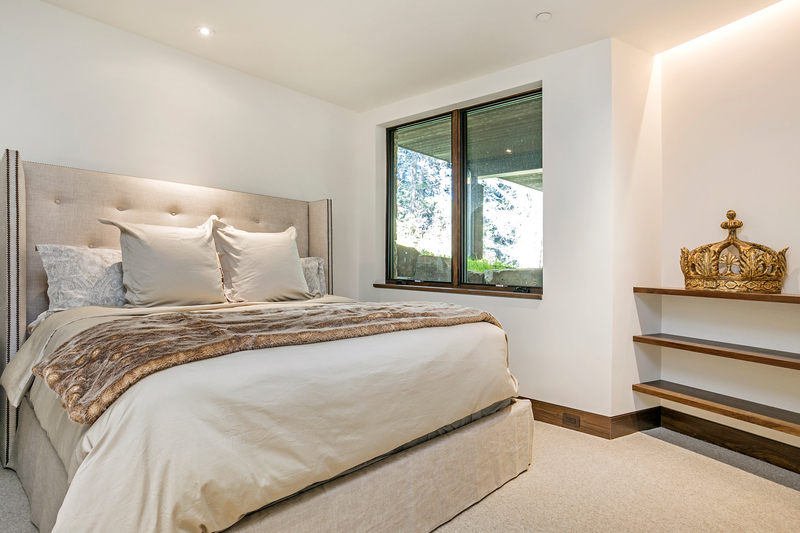 But perhaps the home’s signature component lies just outside the great room and master bedroom. 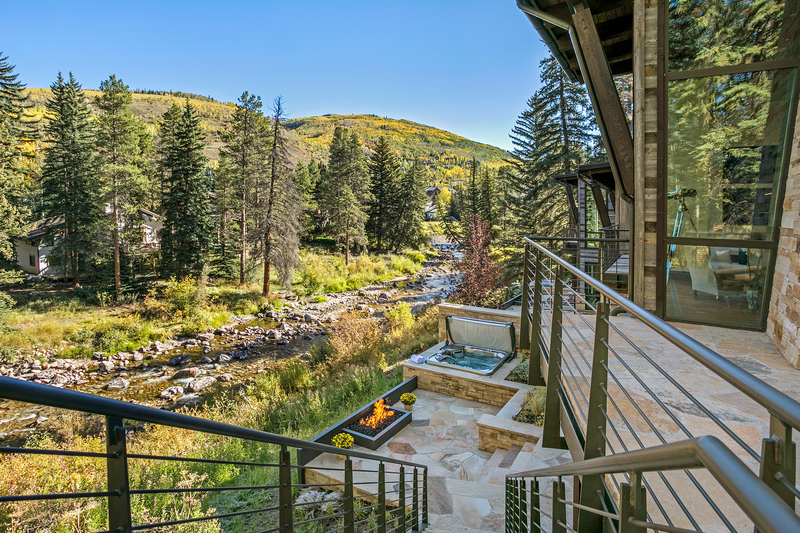 The outdoor living space, overlooking the Gore Creek, encircled by aspen and lodge pole pine, is something to behold. 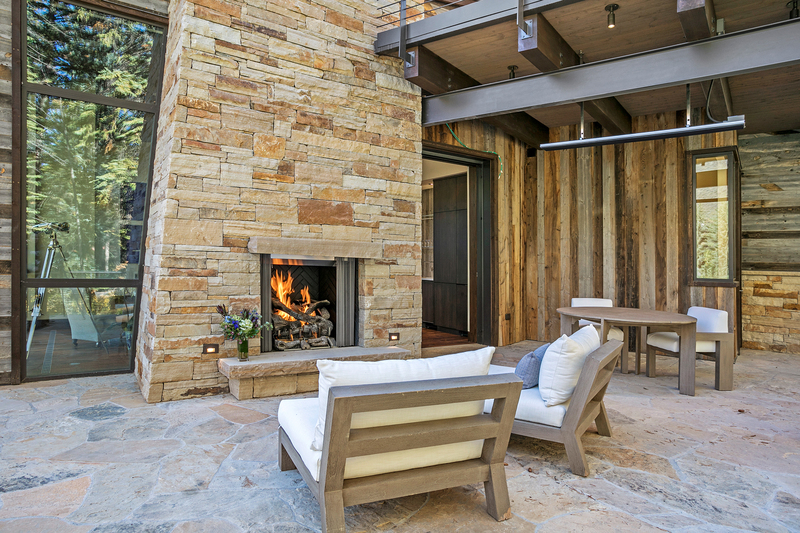 A towering fireplace, heated flagstone and overhead heater ensure the patio can be taken advantage of well into the winter months. 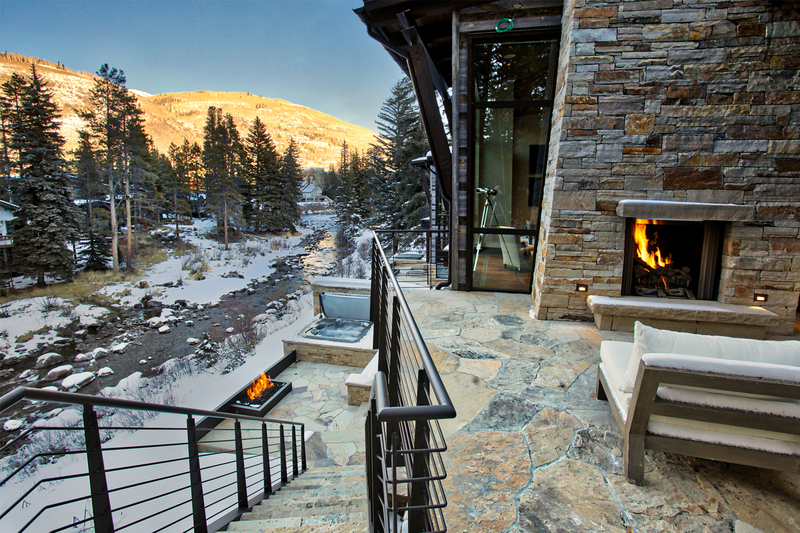 A flagstone staircase leads down to the riverside hot tub and built-in gas fire pit. 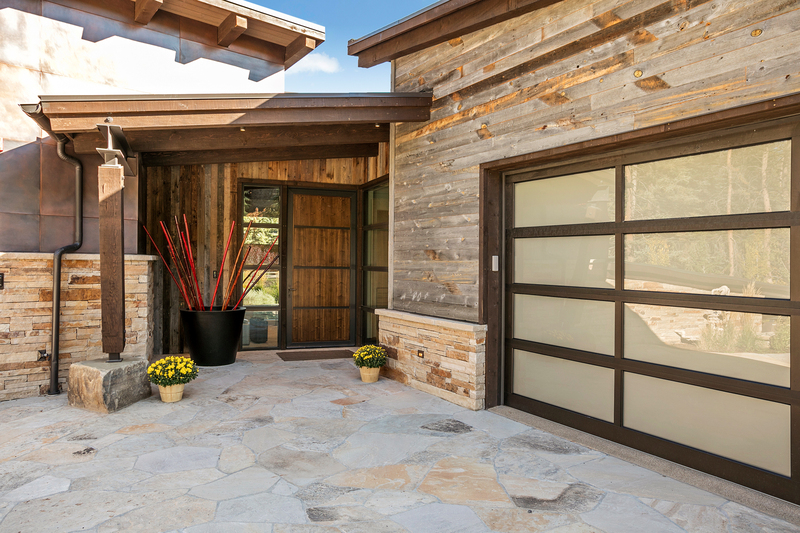 Your guests may never want to come back inside. 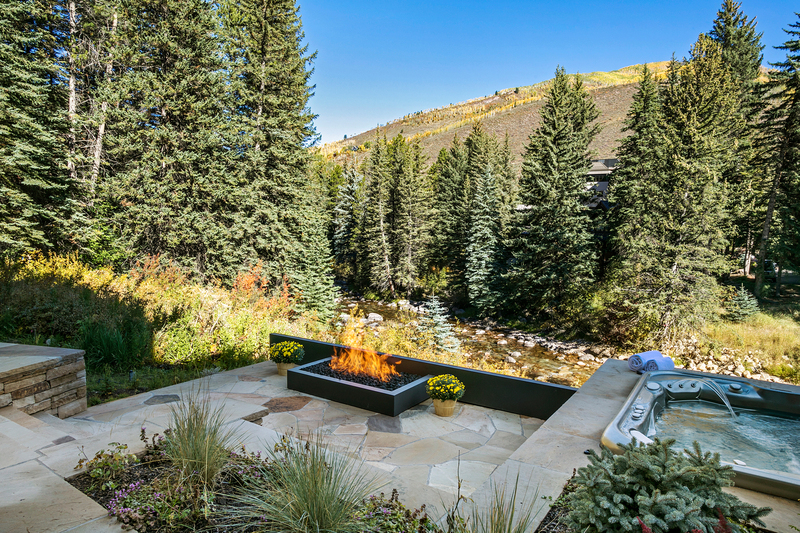 On the lower level, which is on grade with the fire pit and hot tub, two more guest bedrooms feature en-suite bathrooms and walk-in closets. 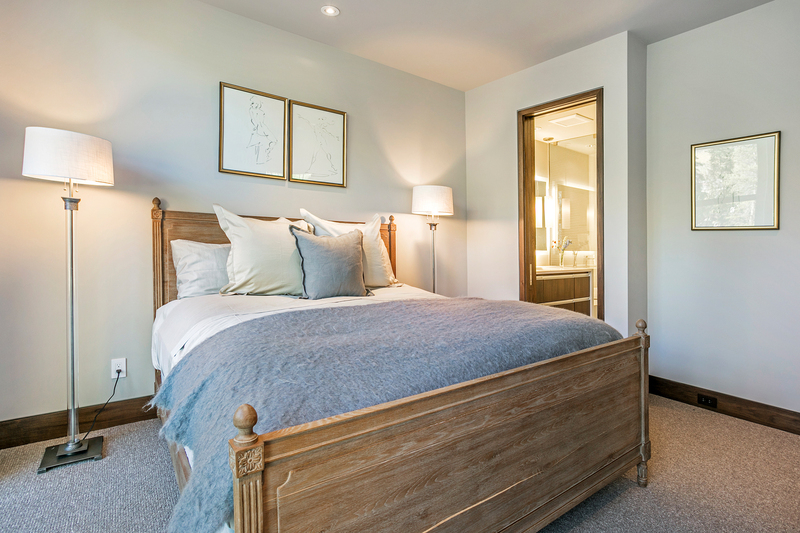 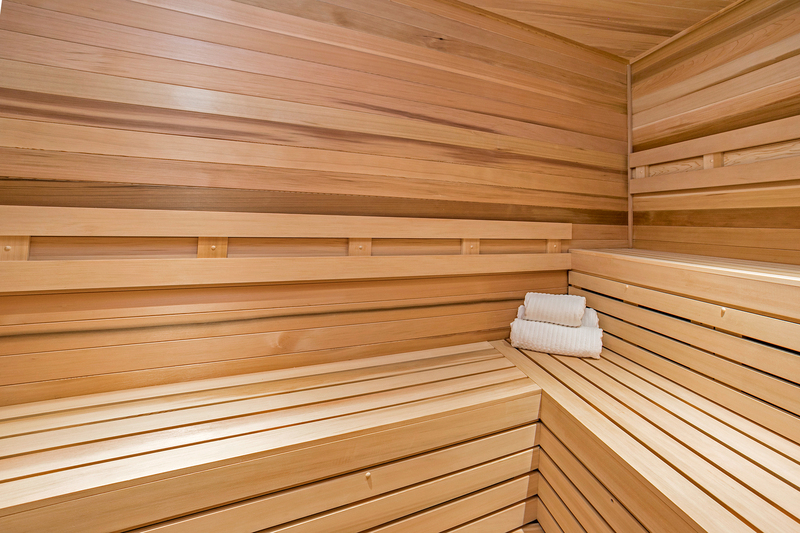 Those rooms enjoy quick access to the European-style sauna and flank an extra family room, which complete with wet bar and kitchenette. 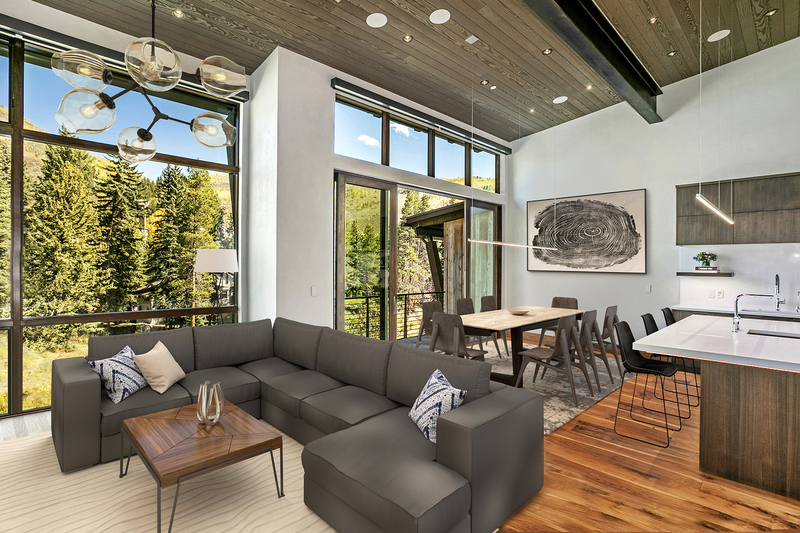 This lower-level living space is perfectly suited to serve as a media room, to entertain large parties or service more casual family activities — a perfect place to watch the game or plop the kids after a long day on the slopes.